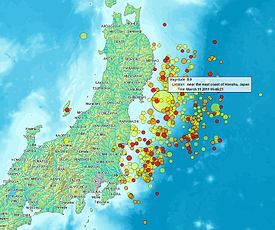 The 11th of March of 2011 Japan had one of the biggest earthquakes in it’s history, creating a huge tsunami which destroyed many areas along the Pacific coastline of Japan northern islands. Many people was dead, injured or missing. Right now the country is trying to restore the damaged areas and help all the people affected by the disaster. Many international organizations are trying to help with the recovery.